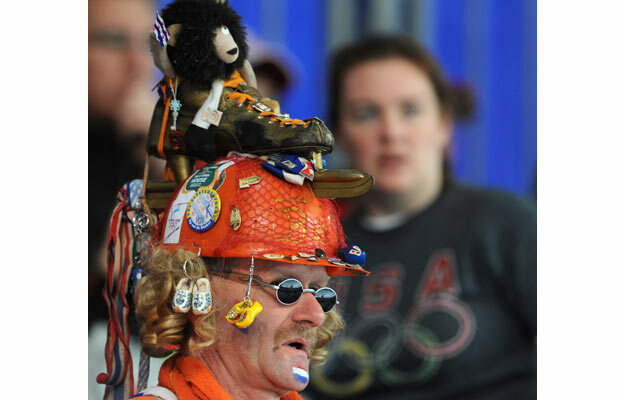 Thialf, Heerenveen. 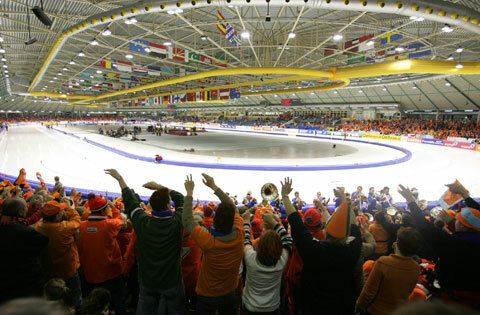 The mecca of Speedskating. Having to nurse my body back to health the last couple weeks has been going well and my training has picked up once again, but while I have been focused on recovery and Jeffrey on his training/American Cup racing, Brian Hansen has been killing it at the Fall World Cups both in Heerenveen, Netherlands and in Kolomna, Russia! 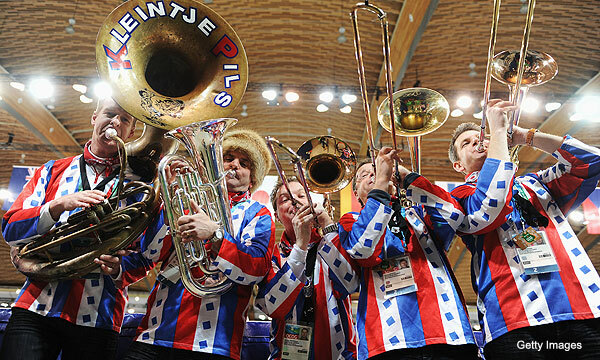 Again, Thialf fans are the best!!! 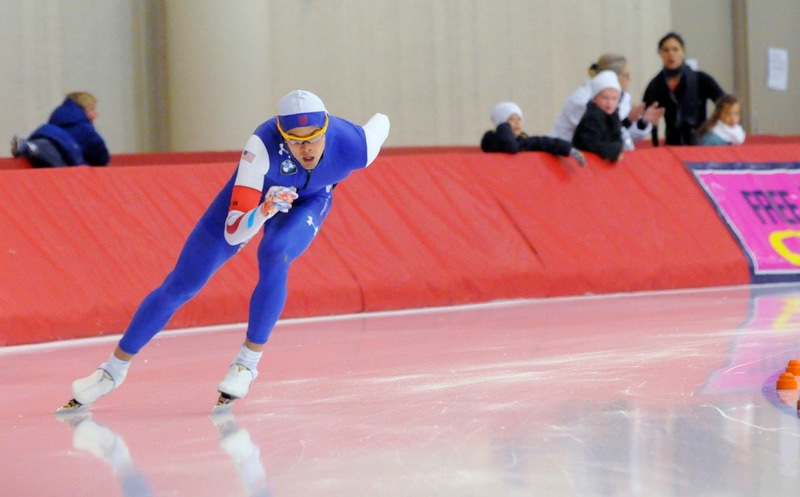 The first World Cup is always exciting in that it is the first time we get to see the top speedskaters, on the world level, compete this season, as well as getting people who've created their Fantasy Speedskating Teams all pumped up too! For Brian, even though he was without his coach (Nancy Sr.), he raced two solid races both in the 1000m (placing 7th) and in the 1500m (placing 6th). Watch the recap of the 1000m here (starting at minute 2:21) and the 1500m here (starting at minute 1:44)! Though it was hard watching these World Cup races from the comfort of home, it motivated me seeing my competitors race, reminding me of my own goals and as I get ready to compete again for a spot on the winter World Cup circuit, which is coming up at our Nationals, December 27th-31st. One of the best pieces of advice I ever got was to sit down and write in a journal all the blessings and successes that I have been given in my life from the littlest joys to the major accomplishments (I did this before my Olympic 3k and Team Pursuit races and I believe it was the reason I had such an outstanding Olympic experience!). Especially when you face trials and your most challenging moments in life, it is so inspiring and rejuvenating to look back on all the victories that have come out of battling your toughest moments. Those positive moments will carry you through...there is never a moment in your life when you can't defeat you're pessimism. Philippians 4:13: God never tells us to do anything without giving us the ability to do it. From those blessings that you wrote down, there is proof that God blesses your life tremendously. The ball is in your court whether or not you are going to push through. On that note...I am SO thankful for my life. There has honestly been more downs than ups in my life and I have numerous times gotten to the point of quitting, but like above, for all those downs, I have been blessed each time I have endured those trials through to the end. I cannot emphasize it enough: reminding oneself of your blessings is so crucial in life. I would never trade my life for another one, I am truly blessed. Hence, I have to say this, I am tremendously thankful for my faith in Jesus Christ, family, friends, a speedskating career, Olympics, a support team who has been there for me every time I come down with an injury or overtrain myself, my product sponsors who make my training possible, and those who have donated to Jeffrey and my journey to the next Olympics...and I could seriously go on for days thanking everyone who has touched my life and made me who I am today. I am who I am because of each one of them. So to all those who have touched my life, thank you on this Thanksgiving Day for your influence on my life. I am so grateful. SO, let me just begin by saying how incredibly hard my sister has trained and how much dedication she has and it's hard to imagine how she's been able to fight through the last few years. Keep her in your prayers. Also, a big loving shout out to the awesome kids who made the trip up to watch us race! 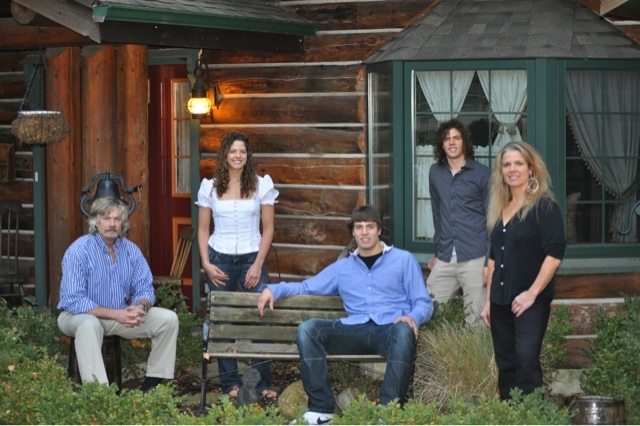 All three Jake's, Keri, Ben, Casey, Ryan, Kyle & Steph, Dena and family, my family and others. Altogether, I competed pretty mediocre in my 4 individual races, ending up about even with all my personal best times (which I set all late in the last season). Now that sounds like something I should be content with but based on my solid training this offseason and what I know I'm capable of, I was hoping to really be raising the bar for my best times at this competition. And if I have certain 'aspiring' goals for next year, I'm going to have to get my act together pretty soon. I was pretty nervous and I think that affected my relaxation and focus throughout my races. But looking at the bright side, results this early in the season should be taken with a grain of salt because oftentimes, some skaters blossom by the end of the season while others are only able to maintain their times. 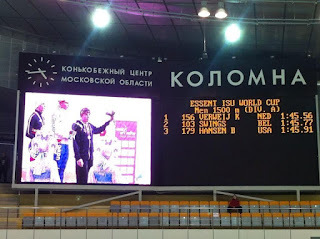 So among US speedskaters, I ended up 18th in the 1000 meters, 9th in the 1500 meters and 8th (I think) in the 5,000 meters. I also did lower my personal best time in the 5,000 meters (in Milwaukee) from 6:57.00 to a 6:52.40. A highlight of the trials was the Mass Start Race (in the video below) which isn't an official race yet but hopefully it soon will be. It's 20 laps, many skaters, and winner takes the pot at the end. There's breakaways, drafting, strategy...Tour de France style. I ended up 3rd and had a blast. The vid's pretty long so you'd probably want to skip around. Thanks for the vid Olu, and the commentating haha.